Anyone who's rented property knows the process of dealing with renters is typically this: Get their paper application, run credit reports, check references and social profiles. It's not hugely broken, and it works. But in a world in which interactions between two parties can be handled with more efficiency and transparency, there's opportunity to improve this process. Hoping to transform the landlord-tenant relationship, Cozy launched out of private beta Thursday morning, as a new way for renters and landlords to interact. Cozy, which raised $1.5 million last June from Social+Capital, Kevin Rose (now part of Google Ventures), and prolific angels Jason Calacanis and Gary Vaynerchuk, was founded in 2011. "This process [applying for apartments] is broken," said Gino Zahnd, co-founder and CEO of Cozy. "You hand a stranger a piece of paper [for an application] and a check with an application fee of between $25 and $75." That paper has tons of personal information that, if misused, could hurt the potential renter. Zahnd has first-hand experience when an application he had submitted caused his credit rating to drop. Apparently, the landlord checked his credit score six times in three hours. Not only was he out the application fee, his credit rating was damaged (at least temporarily). "Cozy gives renters a brand new level of control," he said. While the company has been in private beta mode since last October, it already has 3,000 landlords in 46 states and 320 markets. It's also processing a few million in rent payments a year. At the moment, Cozy doesn't take a transaction fee. Rather it charges landlords a flat $9 per month, per renter fee. 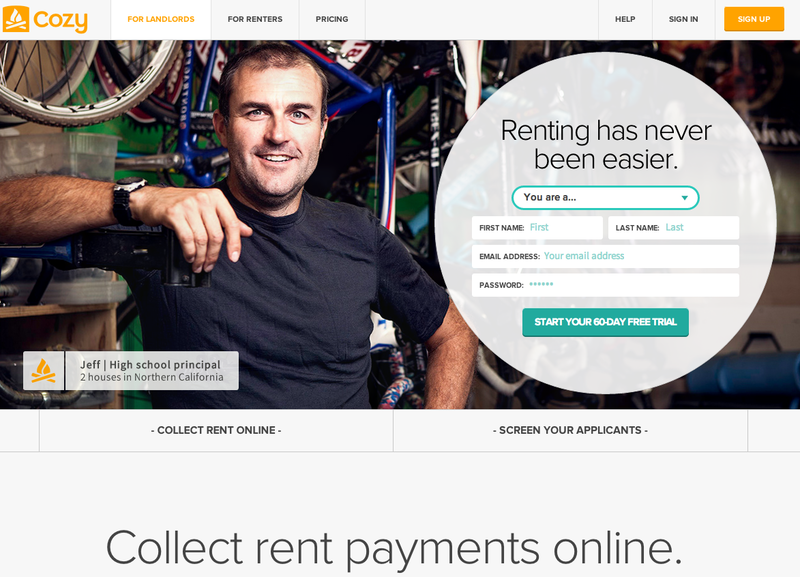 "For renters, we're making it easy to pay rent and apply to rental properties," Zahnd added. "If you find a place on Craigslist or Zillow, you can share your profile. You can also see who looks at your profile... The profiles are easy because you fill it out once, and it's re-usable. You can verify your current employment and request testimonials." By giving renters a profile they can use an application, Cozy hopes this will do away with the application fees. Of course, prospective renters will still have to pay a fee for landlords to run their credit reports.